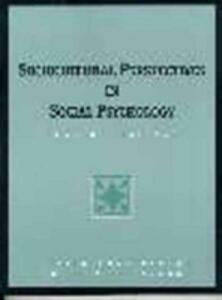 A reader designed as a supplement to traditional sophomore/junior-level courses in Social Psychology, Personality, and Introductory Psychology. A first of its kind, this innovative supplementary text offers students the most current findings on sociocultural issues in social psychology. Presented with a multicultural perspective, this collection of readings complements a basic textbook with new research and concepts about culture, ethnic minorities, and established principles as they relate to standard topics of social psychology. The readings in this book are derived from primary sources written by renowned authors, and reflect the field's diverse methods for conducting research. Context-setting introductions and critical thinking questions encourage students to carefully consider each topic's applications-and implications-both in and out of the classroom.